74 results found. Displaying results 1 to 50 of 74. The authentic Nusach of Shabbos Mincha for the experienced Baal Tefilla. 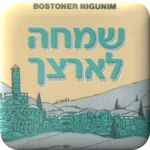 The Nusach recorded here is not meant for the novice learner, although it certainly can serve as a guide for him. This is only available in Nusach Ashkenazis. The authentic nusach of the Weekday Shacharis. 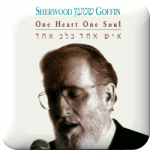 Recorded (1976) for the WZO Torah Education Dept. (no longer in existence) in both Ashkenazis pronunciation. Includes the weekday Hallel. The authentic nusach of the Weekday Shacharit. Recorded (1976) for the WZO Torah Education Dept. (no longer in existence) in Sfardit pronunciation. Includes the weekday Hallel. 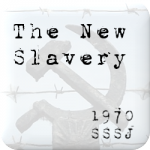 Made for the SSSJ, this is the very first recording ever released for the campaign to save Soviet Jewry. 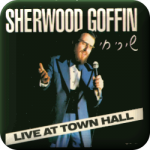 The first part features the first secretly recorded audio tapes of famous Refusniks in Moscow (1969) consecutively translated by Rabbi Shlomo Riskin, followed by Cantor Sherwood Goffin singing Soviet Jewry freedom songs. Original LP record produced 1971. Proceeds benefit The Center for Russian Jewry. 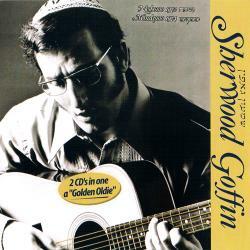 I am pleased to announce the reissue of my hit albums Neshomo (1972) and Mimkomo (1974) on one CD by Aderet Records, one of the two major Jewish recording distributors, in response to popular demand. This is directly a result of the many requests that you and others have made over the years, and I am grateful that these wonderful recordings have come to life once again. 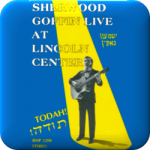 Sherwood "Shimon" Goffin's 1972 & 1974 best-selling albums reissued on CD! The first popular Jewish recordings to feature Grammy-winning musicians (ed. : Dueling Banjos; Bye Bye Miss American Pie; The Beatles horn section); Bostoner Niggunim, Soviet Jewry rally songs, and a treasure-trove of memories! Listen to the all-time classic albums "Neshomo" and "Mimkomo" once again. Who can forget "The Little Bird", "Neshomo", "Hatov", "Boruch Hamokom", "Chasal", "Kachol V'Lavan", "Mimkomo", and so many others? Enjoy the memories! If you are interested in a 33 rpm vinyl record copy of the Mimkomo album (only) for $20 each (shipping included), please contact Cantor Goffin. 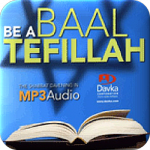 Learn to lead and chant the Shabbat services with Be a Ba'al Tefillah, featuring the accurate, authentic nusach of the Shabbat davening, sung by Sherwood Goffin, renowned cantor of Lincoln Square Synagogue in New York City, and faculty member, Philip and Sarah Belz School of Jewish Music at Yeshiva University in New York. 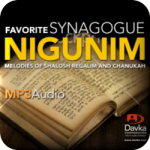 Lev Tahor, Yibaneh, & Hatov were previously recorded on the album Live at Lincoln Center and Misratseh was previously recorded on the album Mimkomo. Composed 5724 for the wedding of a nephew of the Bostoner Rebbe. Composed for Rosh Hashana 5734. Composed for Rosh Hashana 5730. Composed summer of 5720 celebrating a 1st Siyum Mesechte by the Rosh Yeshiva, Rav Pinchas, as a young Bochur. One of the Rebbe's earliest Niggunim, composed 5711.